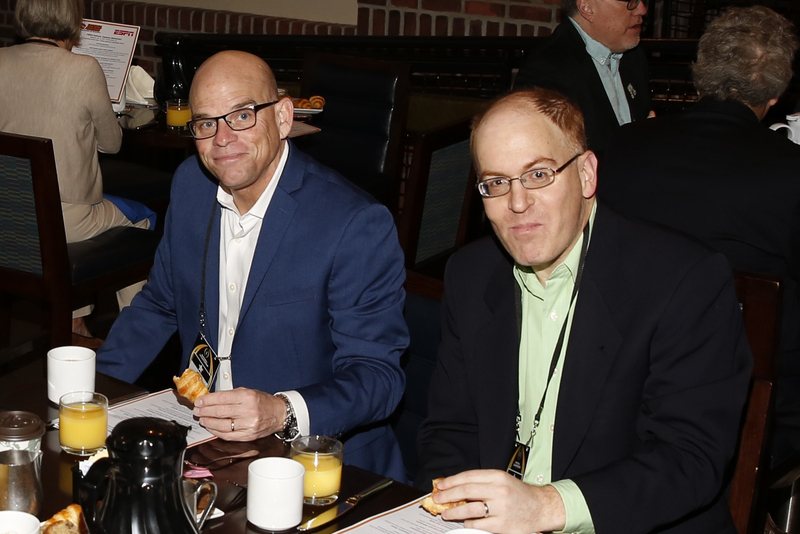 Former FWAA president Dennis Dodd and incoming second vice president Jon Solomon at the FWAA’s Awards Breakfast on Jan. 9, 2017, in Tampa. Both are from CBSSports.com. Photo by Melissa Macatee.